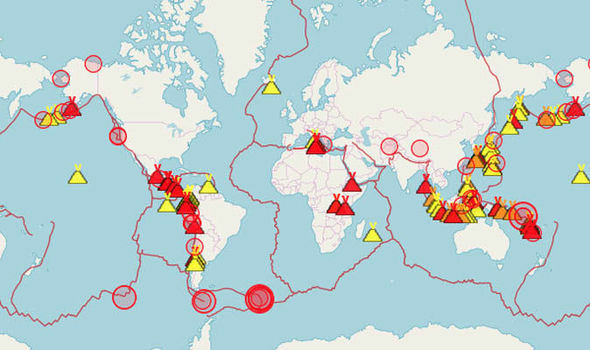 Tremors have been felt around the Ring of Fire today, Saturday (November 17) resulting in magnitude 6.0 and higher earthquakes. Some of the countries affected includes the Solomon Islands, Indonesia and Japan among others. The seismic activity has not caused any lost lives, but residents felt the earth shake as a result of the tremors. The earthquake’s epicentre was 132 km (82.3 miles) west of Kira Kira, which has a population of 11,222. It is located on the north coast of Makira, the largest island of the province. The Solomon Islands are located in the volatile Ring of Fire region, 1,700 miles northeast of the Australian coast. The National Weather Service has not issued a tsunami warning, advisory, watch or threat as a result of the earthquake. The Solomon Islands are in the dangerous Ring of Fire - a long chain of volcanoes and earthquakes around the edge of the Pacific Ocean.